Microsoft at IFA 2018 announced the name of the upcoming Windows 10 update, internally known as Redstone 5. The Redmond, Washington-headquartered company Microsoft said that the next feature update to Windows will be called the Windows 10 October 2018 Update. With the update, the company wants to bring new features and enhancements to almost 700 million devices that run Windows 10. Microsoft, however, did not announce what is coming exactly in the update and said that more details will be revealed in the run-up to the release date. The company has been publicly testing Redstone 5 via its Windows Insider Program for a while now, and we detail some of the features that the testing revealed. At its keynote presentation at IFA 2018 in Berlin, Microsoft showcased several Windows PCs such as the Lenovo Yoga C630, Yoga Book C930, Dell Inspiron 13 7000 2-in-1, Surface Go, Acer Predator Triton 900, among others. While sharing the new Windows experiences during the event, Erin Chapple, Corporate Vice President, Microsoft also confirmed that more things will be coming with the next Windows 10 update. At the Microsoft Build 2018 held in May, the company brought several new developments on Microsoft's core products. A lot of those announcements were around Windows 10. While Microsoft has not reconfirmed which features will make it to the final Windows 10 October 2018 Update, the company is expected to bring several new features such as Dark Mode in File Explorer, Your Phone app, and more. Microsoft had previously stated that a dark theme is finally making its way to Windows 10 and will initially be available on File Explorer, File Explorer context menu, and Common File Dialog menu. Setting for the feature will be accessible under Settings > Personalisation > Colours. A new Clipboard has been a part of the Windows 10 Preview Builds for a while now. The new cloud-based Clipboard will be viewable with the shortcut keys Win + V and could be accessed across any PC with this build of Windows or higher. This new Clipboard will sync using the same technology as Timeline and Sets. Meanwhile, Search on Windows 10 will now be getting previews. With previews, users will be able to jump into, see progress on, and disambiguate between files by seeing more information. Search Previews will also be used to get quick answers to trivial questions like "are bananas good for you?" or "height of mt. Everest". Microsoft had promised regular updates to Search Previews in the future. Microsoft is also bringing the ability to name tile folders. The option to name the folder will be shown when you expand the folder that has several tiles in it. The names will be viewable in medium, wide, or large-sized view. Besides, the Insider Preview build brings Bing-powered contextual FAQs built right into the Settings menu as well. When it comes to Microsoft Edge, the browser tabs will be shown in the Alt + Tab mode. It will be introduced as a new feature in Sets, which will also get a Fluent design based acrylic title bar, and the window border will be adjusted to grey. Windowing preferences is also expected to arrive, letting users choose if apps or websites should open in new windows or tabs. Users will also gain the ability to mute specific Sets tabs, and snooze tabs in the background. Tabs will also restore faster. Also, a key addition to the PDF Reader in the Edge browser will be that all tools in the toolbar now have a text description. Microsoft had recently updated its Notepad app for Windows with a bunch of new features. The new features are said to be a part of the Windows update that is currently codenamed Redstone 5. During the same update, Microsoft had announced a faster way of signing in to a shared PC, called 'Fast Sign-in' and advanced biometric options for Windows 10 sign-in. Notably, the last update with Windows 10 Insider Preview Build 17744 shows only a few bug fixes and general improvements. 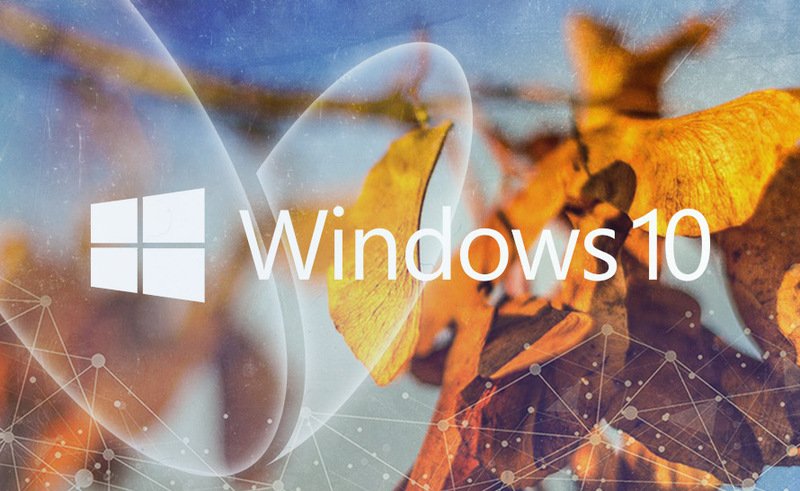 Apart from all the above, Microsoft may announce several changes in Windows Shell, Windows Settings, Microsoft Cortana, and other changes and bug fixes with the Windows 10 October 2018 Update.